Mercedes-Benz and the legendary Augusta Masters are partners. 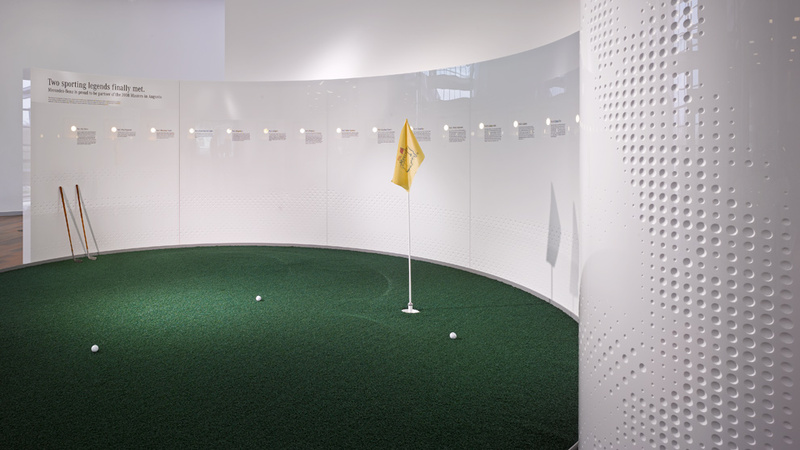 The exhibition presents the two sporting legends along the dynamic curve of a wall etched in the style of the dimples of a golf ball. On the sample “putting green” you can look through 18 lenses at the 18 holes in Augusta as 18 exciting anecdotes are recounted. A back-lit display case with original exhibits draws the visitors into the trophy room. 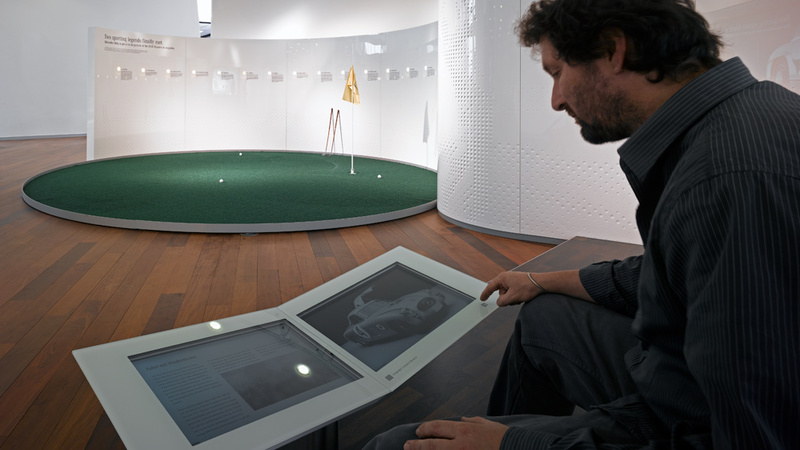 On a white sofa the visitors can leaf through the sporting history of Mercedes-Benz in the interactive book. The historical 300 SL and the new SL are parked in front of a stylised golf club.